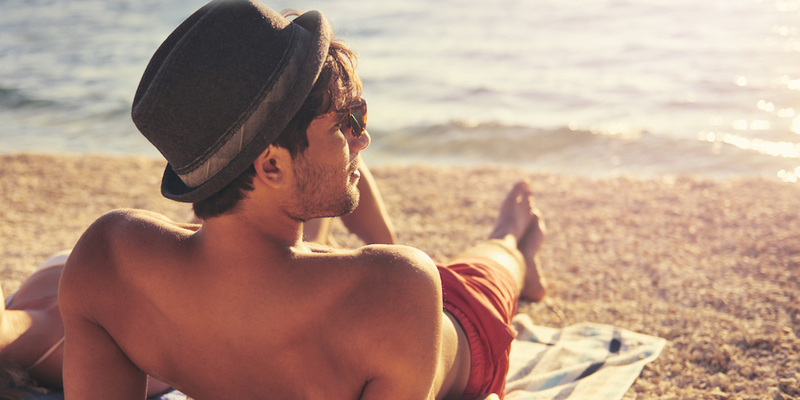 Whether you’re strolling the sandy beaches of Puerto Vallarta, sunbathing in San Diego or riding the waves of Honolulu, we all need to pack our summer beach essentials before heading outdoors. Beyond looking hot in your trunks, you’ll want to take products that are functional for the beach or gadgets to keep you entertained. 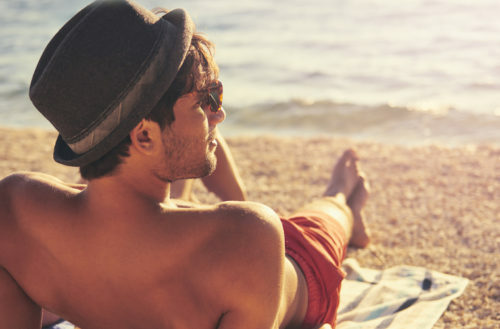 So besides those everyday beach items — sunblock, sunglasses — we recommend these functional and stylish summer beach essentials to make your next jaunt to the beach a memorable one. First things first — you’ll need a sturdy tote to carry everything else on our list. L.L. Bean, a well-known accessories company, makes the best tote for everyday activities. This Hunter’s Tote Bag, with zip-top detail, is perfect for summer. This style comes in three different colors — including the cam print above for the fashionistos — and in three sizes from medium to extra large. We don’t know about you, but we don’t like to look drenched in sweat in our beach attire. Unfortunately, most beachwear isn’t designed with this functionality in mind. Luckily for us, Nike — an innovator in athletic footwear and apparel in its own right — has Hurley as a subsidiary, a beach brand that has combined style and comfort in this cool 3/4-sleeve surf shirt. Remember that time you dove into the water and realized you’d left your watch on your wrist? Maybe a water-resistant one is a sound investment for your next beach trip. Contrary to popular belief, “water resistant” does not mean waterproof. Instead, a watch is given an ATM rating for how many meters it can be submerged without being damaged. For instance, 5 ATM corresponds to 50 meters — you can wear it and swim for a short period. But a watch with a low ATM rating is not meant for diving or snorkeling. Do you love to slap your personalized monogram initials on everything, including your beach towels? Pottery Barn not only has a great selection of beach towels, but they provide the service for customers. Forget the flip flops — waterproof slides like these from Birkenstock have become a true summer beach essential. Birkenstock has recently enjoyed a renaissance in the fashion world; from Givenchy to Giambattista Valli, many of the hottest fashion houses have created a designer version of this simple slip-on.